Duke Potter is such a huge help and really gets things done! If you need anything done in a timely manner he is the person to go to! He made my experience there such a great experience and continued to help me with everything I needed help with! He is truly amazing and I am so thankful I had his help!!!!! Thanks Bill for your time & energy spent on keeping me informed on my vehicle! I appreciate the service given!!!!! Great service as always. Matt the service manager was very helpful and informative. Thanks. The Bob Howard Chrysler Jeep Dodge Ram Dealership in Oklahoma City (OKC) is your trusted source for a great deal on a great set of wheels. We offer exceptional prices, affordable financing, helpful service, and a large stock manufacturer parts for our DIY customers. So if you’re looking for one of the best car and truck dealerships in OKC, then look no further. So, just how will a new Chrysler, Jeep, Dodge, RAM such as the 1500, 2500, Cherokee, Renegade, and Challenger elevate your daily commute? Well, for one: the peace of mind that comes with an impressive list of cutting-edge safety features and additional comforts on each of our models. Everything about our new inventory lineup from Chrysler, Jeep, Dodge, RAM is designed to give you something to look forward to. Another thing that makes our Oklahoma City car and truck dealer unique is that here when someone has found the vehicle that best suits their lifestyle and driving style, it doesn’t mean the fun part of buying a car is over. Our savvy team of car financing specialists have taken it upon themselves to rewrite that part of the classic car-buying story with a tenacious, take-care-of-their-own spirit (their own being you, the customer) and it is their goal to secure the most agreeable car loan and lease rates and conditions possible. Here – the fun isn’t over until you say it is. 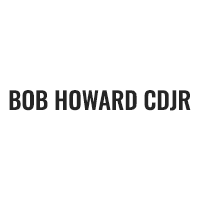 Commitment to your new vehicle from Bob Howard continues after you drive it out of our showroom for the first time. We want to make sure you get the most out of your vehicle and enjoy it for many years to come. You can find that support in the form of genuine Chrysler, Jeep, Dodge, RAM parts for your vehicle needs. And, if we don’t have them, we’ll order them for you. There’s also car repair & service from our team of maintenance specialists who will have your vehicle primed to perform at all times with routine maintenance and checkups at our new & used car dealership. Now that you know everything Bob Howard has to offer at our new & used car dealership, chances are you’ll want to actually see it for yourself. If so, come see us at 13250 North Broadway Extension Oklahoma City, Oklahoma. Our team will be more than happy to show you around, set up a test drive, talk finance, order parts or schedule your next service appointment.